Both boys have been enjoying the sunshine this week, and so a trip to the park was a highlight. 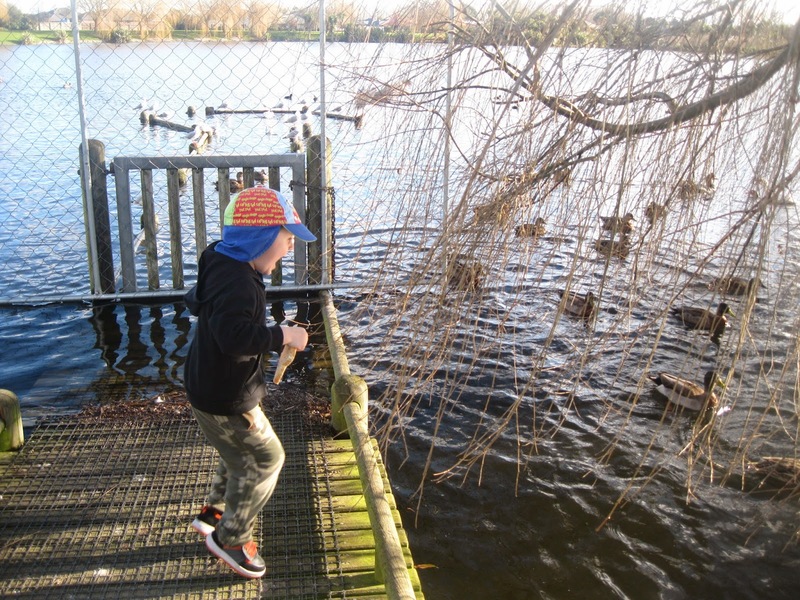 Lucas loved feeding the ducks- I love the look of excitement on his face! 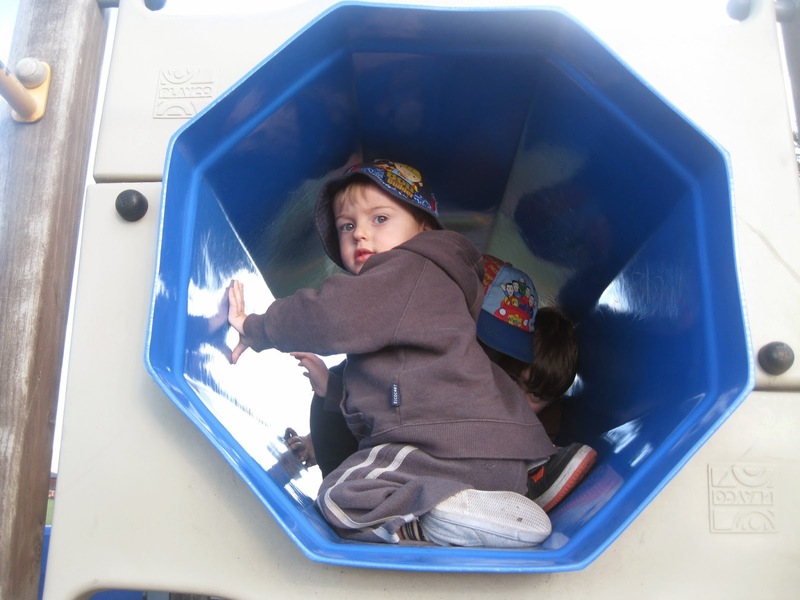 Adam preferred to through the tunnel on the playground.